EVERY business of EVERY size is at risk of hacking and security breaches. How secure are your documents? Information security is a huge issue for companies of every size. Hackers are constantly on the lookout for businesses careless with their security so that they can steal information. And it’s not just digital information and your network you need to worry about, you need to ensure that your security planning includes paper documents too (and don’t forget your networked laser printers and copiers, more on that below). And, of course, you need to protect your IT network too. Think for a moment about the vital information on your company documents – strategic plans, proprietary product ideas, customer information (like credit card numbers, addresses, and social security numbers – personally identifiable information), confidential communications, etc. If any of this information is exposed, your business could take damage to its reputation or you could be subject to fines for being in non-compliance with regulations like HIPAA. 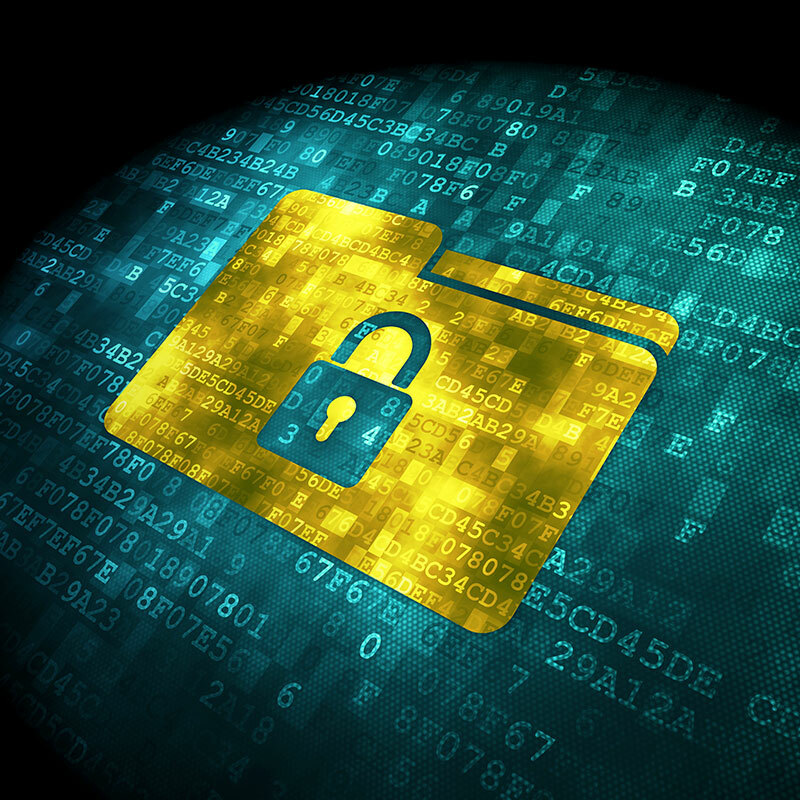 You need a plan for document security. Datamax Arkansas can help you create and implement that plan – a plan that covers information AND any device that connects to your IT network. Restricting access is the first step to document security. Datamax Arkansas leverages technology from Canon, Laserfiche, and Nuance that can configure and customize permissions. You ensure that only those authorized have access to view and/or modify specific documents. You can apply permissions to individual documents, entire document categories, employee role, and more. Audit trails are automatically generated, quickly showing who accessed documents and what they did with them. Combined with retention policies, these audit trails are a good start when it’s time to meet regulatory compliance goals. For additional security, you can assign a digital signature to every document. Take a look at your copier and printer output trays. What do you see? Patient records? Invoices? A strategy memo? If you focus all of your attention on your perimeter security – firewalls, anti-virus, intrusion prevention – but ignore your network-connected copiers and printers, then you’re leaving a gaping security hole in your defenses. Any device attached to your network can be hacked. Digital copiers (and many printers) store images of the documents they print and copy on their hard drives. Many businesses overlook these two facts. Hackers and information thieves like that. We know how to create a security plan that includes your network AND your digital copiers and laser printers. We’ve got you covered. Subscribe to Datamax Blog Email updates. Most digital devices are network accessible – and pose potential security holes – when connected to your network.